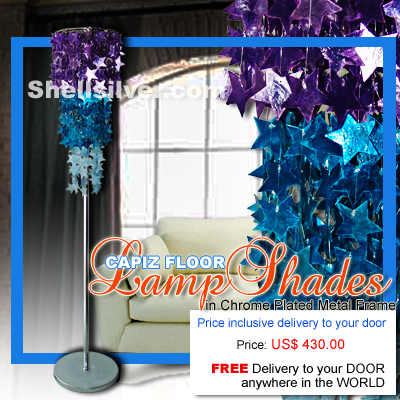 3 layers Capiz chips violet, blue and light blue in star shape, 56 strand, 495 pcs. 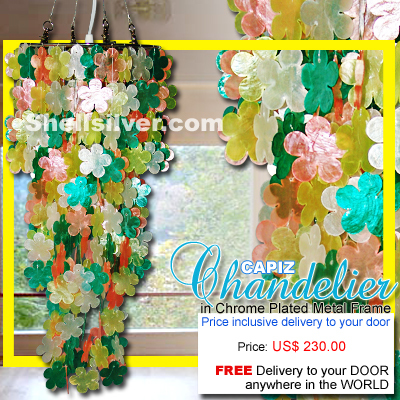 50mm capiz chips more.. 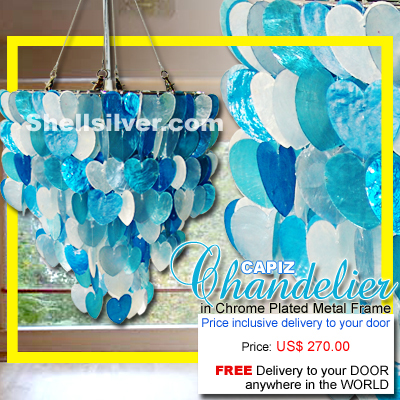 Colored pastels or regular colors hanging chandelier 60mm round capiz chips, 54 strand, 1620 pcs. 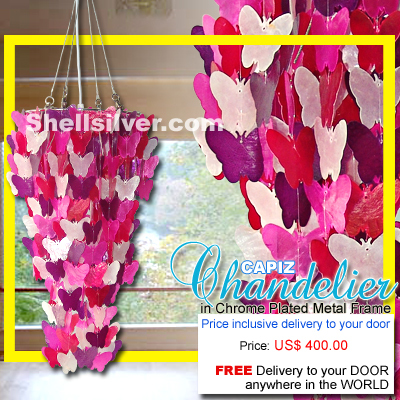 ro more..
3 layers Capiz chips pink, red, violet and white butterfly, 53 strand, 372 pcs. 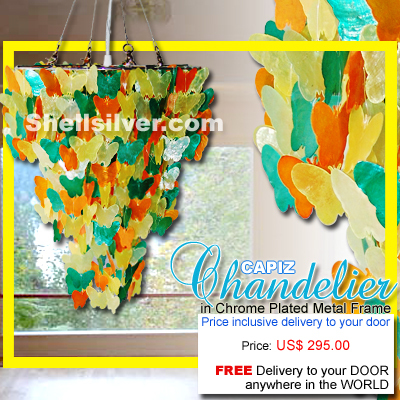 50mm capiz chips, 18 more..
3 layers Capiz chips orange, yellow and green butterfly, 70 strand, 480 pcs. 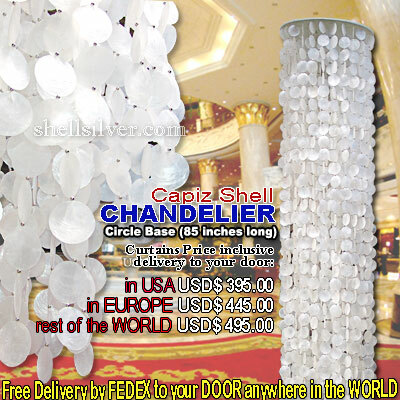 50mm capiz chips, 16.5 more..
Capiz Shell Chandelier in Wooden Round base (16inches Diameter), 2160 Capiz Chips in 2.0inch Capiz c more..
3 layers Capiz chips natural white, green, yellow and orange flower, 55 strand, 404 pcs. 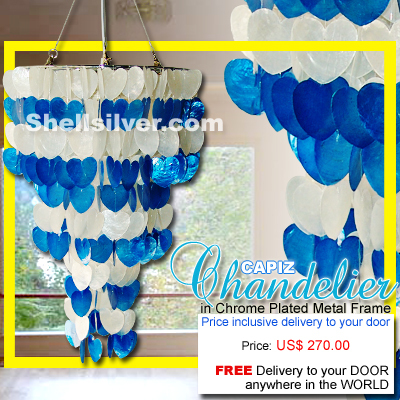 50mm capiz more..
3 layers Capiz chips natural white, blue and light blue heart design, 70 strand, 368 pcs. 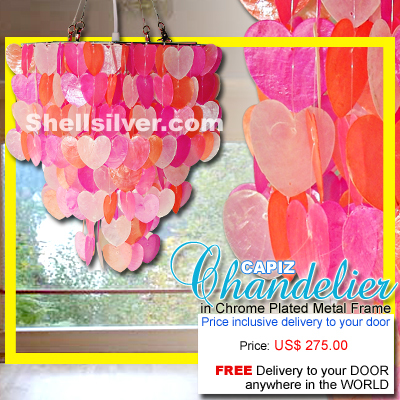 50mm capiz more..
3 layers Capiz chips orange, pink and light orange heart design, 370 pcs. 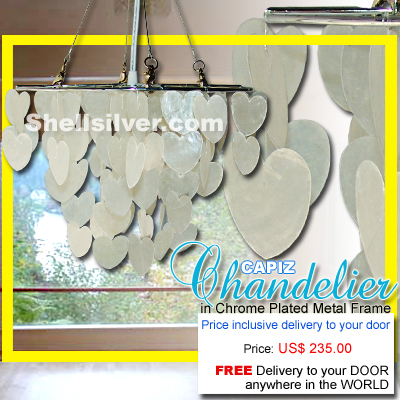 50mm capiz heart chips, 14 more..
3 layers Capiz chips natural white and blue heart design, 71 strand, 419 pcs. 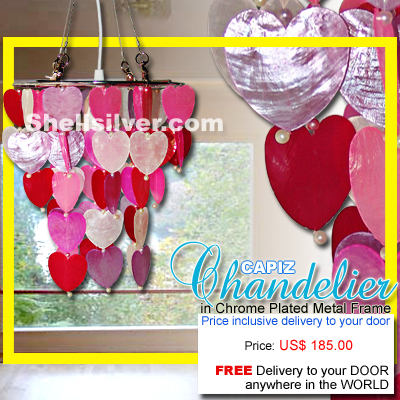 50mm capiz chips, 21 i more..
2 layers Capiz chips natural white, pink, fuschia pink and red with balls in heart, 19 strand, 68 pc more..
2 layers Capiz chips natural white heart design, 8 strand, 88 pcs. 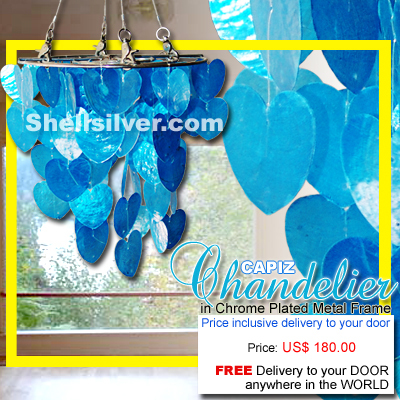 50mm capiz chips, 9 inches base t more..
Capiz chips blue in small heart design, 19 strand, 68 pcs. 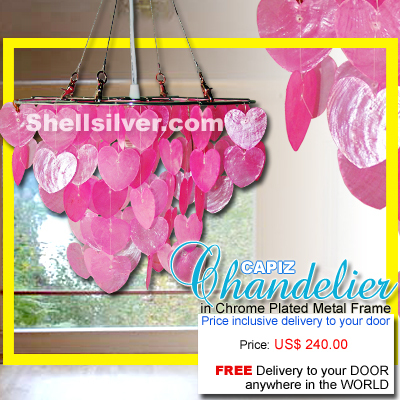 50mm capiz chips, 9.5 inches base to bott more..
2 layers Capiz chips pink heart design, 28 strand, 88 pcs. 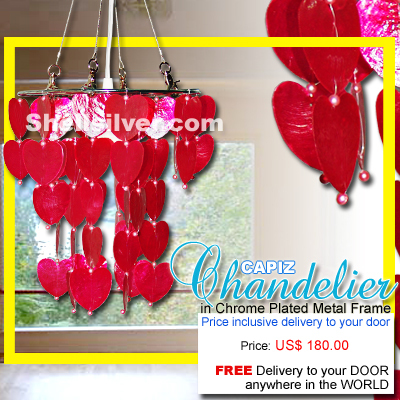 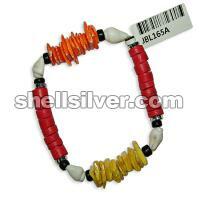 50mm capiz chips, 9.5 inches base to bott more..
2 layers Capiz chips red with balls heart design, 20 strand, 68 pcs. 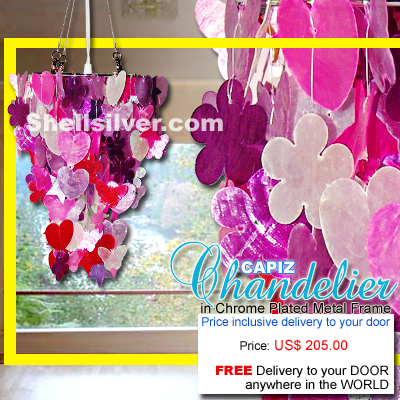 50mm capiz chips, 10 inches bas more..
2 layers Capiz chips natural white, pink and violet mixed design, 53 strand, 253 pcs. 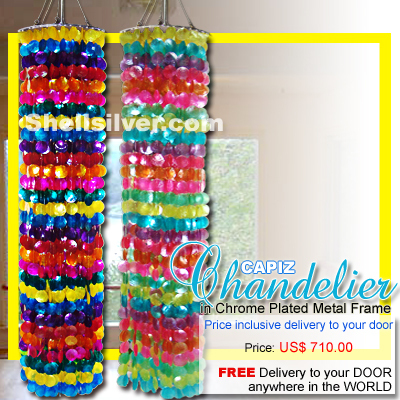 50mm capiz chi more..